So what do all interesting couples make do when added to your meals together??? Strawberry and Whole Wheat Bread = The whole wheat bread is known for being packed FULL of iron. Without iron in your blood stream you will be fatigued. With it, you will feel energized due to it’s oxygenating properties. Combine this with the vitamin C in strawberries and you have a match made in heaven! The vitamin C from the strawberries converts that iron in the whole wheat bread from insoluble to soluble iron. This allows your body to use the iron from the wheat so you can feel more energized! Green Tea and Lemon – Catechins in the green tea turn up your fat burning furnaces. When you add a squeeze of lemon, the vitamin C from the lemon enables your body to absorb MORE of the catechins (by 300%). 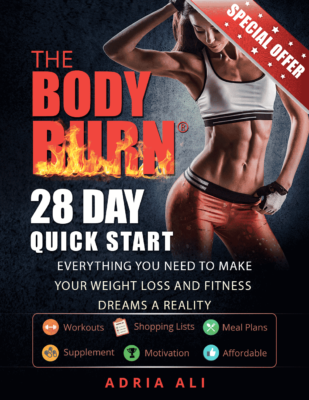 Who doesn’t want to turn up the heat and burn more calories?!! Mushrooms and Spinach = While this may seem like a natural combination to most, mushrooms are packed full of vitamin D (who knew!?) . Spinach brings calcium to the table. However, you must have calcium WITH vitamin D for it to be properly absorbed into the body. You will notice that all milk products such as milk and yogurt are fortified with vitamin D for this very same reason! Broccoli and Mustard – Using Broccoli to drip in spicy condiments such as wasabi and mustard can double the veggies anticancer properties (research from the University of Illinois). Spicy foods contain an enzyme called myrosinase. This enzyme helps to release sulforaphane which has been proven to curb cancer. Add some spice to your life and stay healthy! Shocking right!?? 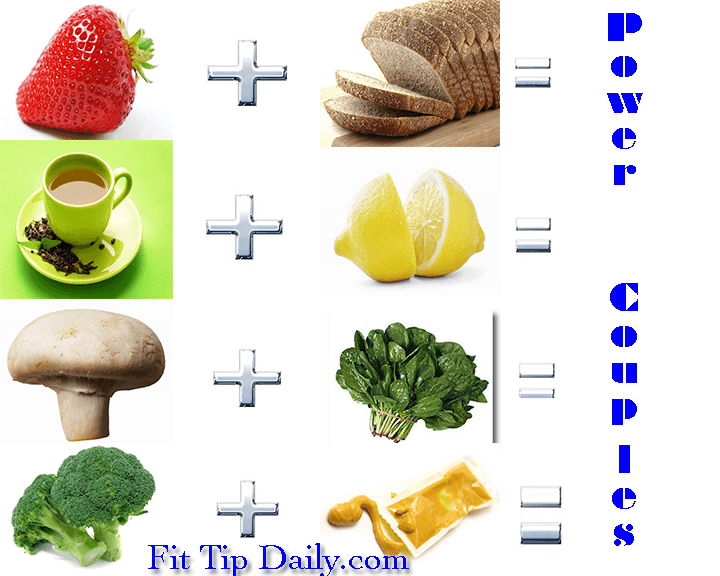 Who would have thought that these simple food combinations could make such a huge impact on various aspects of your health!! Now, every time you eat one of these combos you will be thinking about this article and these fitness tips! If you love it, share it! Use the “share link” above this article to spread the fitness love!